Berberine is a plant extract that has been used in Chinese and Ayurvedic medicine for over 2,500 years for its broad range of health-promoting properties. 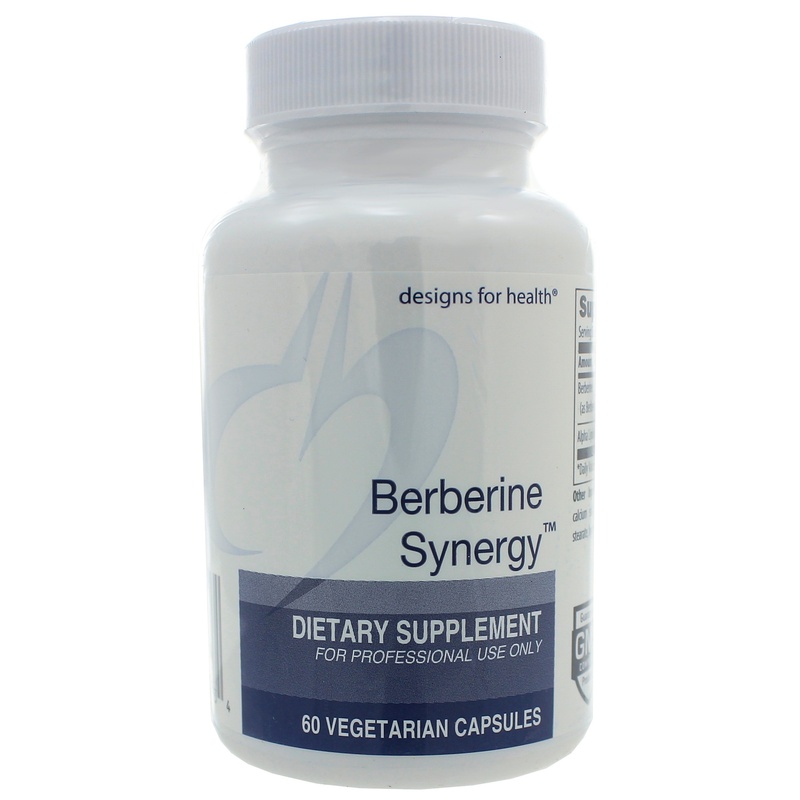 Berberine can be found in the roots and stems of plants such as Hydastatis Canadensis (goldenseal), Coptis chinensis (goldenthread), Berberis aquifolium (Oregon grape) and Berberis vulgaris (barberry). 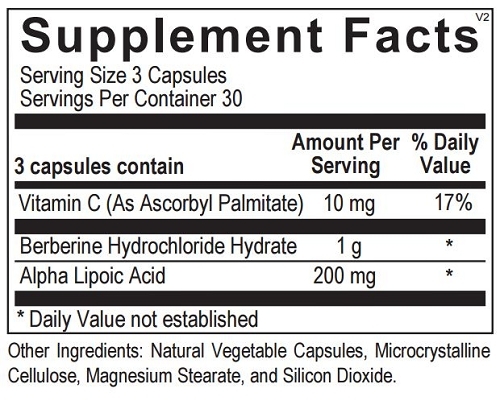 Alpha lipoic acid (ALA) is a nutrient required for cellular metabolism, specifically the breakdown of carbohydrates and fatty acids.13 ALA has been shown to support blood sugar balance by activating AMPK, a major regulator of cellular energy.14 A study using a dose of 600 mg/day of ALA over three months demonstrated that ALA helps support healthy lipid levels while improving oxidative stress (reducing free radical damage) by 38%.15 An additional study examining the effects of ALA on 74 subjects found that within the four-week, placebo-controlled trial, administration of 600 mg of ALA per day significantly enhanced glucose transport and utilization.16 ALA is also a potent antioxidant. 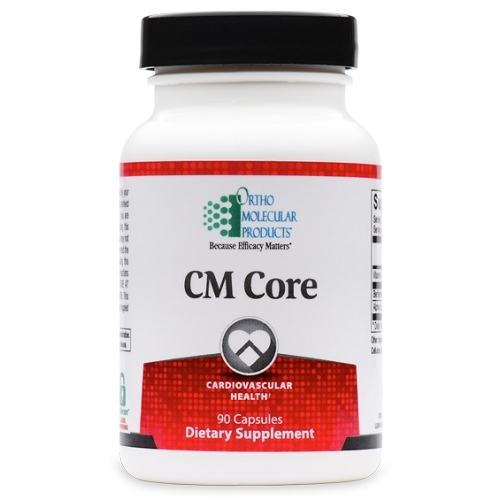 It scavenges free radicals while aiding in the regeneration of the body’s antioxidants including vitamin C, vitamin E and glutathione.17 Through its antioxidant-boosting mechanisms, ALA helps maintain healthy blood vessel and circulatory health. Does not contain gluten, corn, yeast, animal or dairy products, artificial colors, artificial flavors or preservatives. 1. Grundy SM, Cleeman JI, Daniels SR, Donato KA, Eckel RH, Franklin BA, Gordon DJ, Krauss RM, Savage PJ, Smith SC. Diagnosis and management of the metabolic syndrome an american heart association/national heart, lung, and blood institute scientific statement. Circulation. 2005;112:2735-2752. 2. Jeong HW, Hsu KC, Lee J-W, Ham M, Huh JY, Shin HJ, Kim WS, Kim JB. 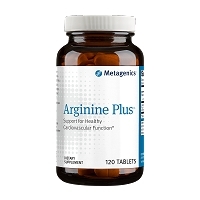 Berberine suppresses proinflammatory responses through ampk activation in macrophages. American Journal of Physiology-Endocrinology And Metabolism. 2009;296:E955-E964. 3. Kemp B, Stapleton D, Campbell D, Chen Z-P, Murthy S, Walter M, Gupta A, Adams J, Katsis F, van Denderen B. Amp-activated protein kinase, super metabolic regulator. Biochemical Society Transactions. 2003;31:162-168. 4. Towler MC and Hardie DG. 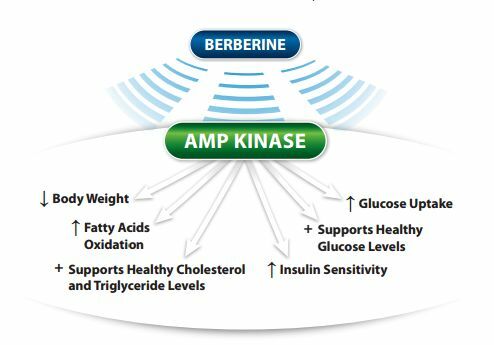 AMP-activated protein kinase in metabolic control and insulin signaling. Circulation research. 2007;100:328-341. 5. Lau CW, Yao XQ, Chen ZY, Ko WH and Huang Y. Cardiovascular actions of berberine. 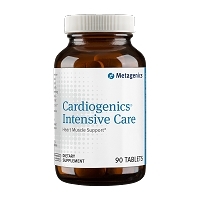 Cardiovascular Drug Reviews. 2001;19:234-244. 6. Brusq J-M, Ancellin N, Grondin P, Guillard R, Martin S, Saintillan Y and Issandou M. Inhibition of lipid synthesis through activation of AMP kinase: an additional mechanism for the hypolipidemic effects of berberine. Journal of lipid research. 2006;47:1281-1288. 7. 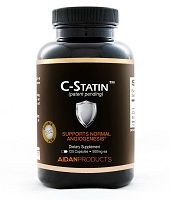 Kong W, Wei J, Abidi P, Lin M, Inaba S, Li C, Wang Y, Wang Z, Si S and Pan H. Berberine is a novel cholesterol-lowering drug working through a unique mechanism distinct from statins. Nature medicine. 2004;10:1344-1351. 8. Derosa G, D’Angelo A, Bonaventura A, Bianchi L, Romano D and Maffioli P. Effects of berberine on lipid profile in subjects with low cardiovascular risk. Expert opinion on biological therapy. 2013;13:475-482. 9. Zhang H, Wei J, Xue R, Wu J-D, Zhao W, Wang Z-Z, Wang S-K, Zhou Z-X, Song D-Q and Wang Y-M. Berberine lowers blood glucose in type 2 diabetes mellitus patients through increasing insulin receptor expression. Metabolism. 2010;59:285-292.